Saoirse Ronan is not like other Hollywood stars. Spread out on a sofa in a luxury Paris hotel in a "Mary Magdalene, sorry Maggie Marilyn" pyjama suit looking like a vamp from "The Great Gatsby", she is joking about her bad skin. The sideburns of acne she has in "Lady Bird", the acclaimed coming-of-age movie that has won her a third Oscar nomination at the age of 23, were very much her own, she laughed. "No, they were real!" she told AFP. "I had a bad skin at the time so we just didn't cover it up. "Weirdly I never got bad skin as a teenager at all," said the Irish actress, who was first nominated for an Academy Award when she was only 13 for "Atonement". "It was only when I was 21 or 22 when I was doing loads of press that I got it. So, it was you that did it," she laughed. Ronan is often talked about as one of the most talented actors of her generation -- she won a best actress Golden Globe last month for "Lady Bird", her "sensational" portrayal of a Sacramento teenager in the last year of high school whose lofty ambitions are often at odds with reality and her family's precarious finances. She is also one of the most down-to-earth, seemingly unphased by having grown up in front of the camera as a child actor from the age of eight. "My Mam came away with me on every job till I was 18, and my Dad is an actor, so they understood the pitfalls." Even so, "going through puberty on screen can very easily be terrifying. You are so aware of what you look like, and to have a lens pointed at your face," she told AFP as she promoted "Lady Bird" in the French capital. "So you have to have the attitude that it is more important to get what you are doing right than worry whether you look pretty." Doing good work has been Ronan's watchword since she was very young, carefully choosing quality films rather than playing the fame game. "I was offered an action film at the same time as 'Atonement' (when she was 12) but I knew even then that was not the direction I wanted to go in," she said. 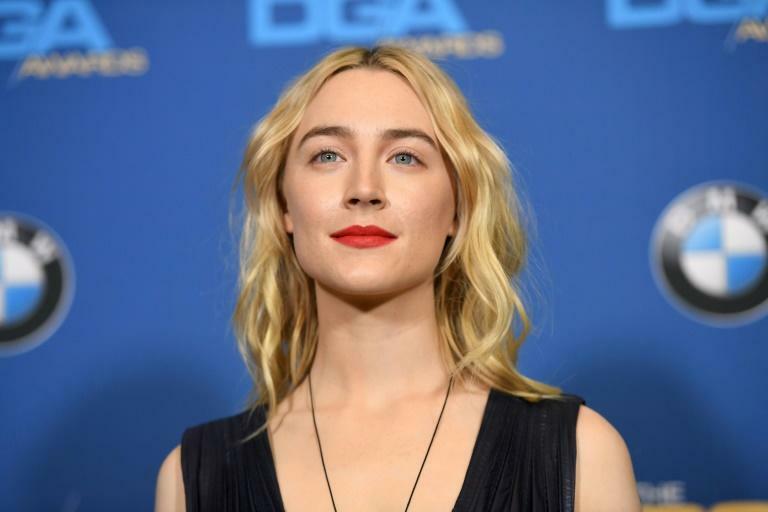 She was a more obvious choice to play an Irish immigrant in "Brooklyn", and Ronan insisted that hooking up with indie star Greta Gerwig for her directorial debut on "Lady Bird" was also a "no-brainer". "When you read a script where one of the introductory scenes is someone arguing with their mother and jumping out of a car it is a massive selling point. With Greta I knew it would be smart, interesting and funny," she said. Gerwig, who made her name both writing and starring in "Frances Ha" and "Mistress America" with director Noah Baumbach, said it was a marriage made in heaven. Even though the film is semi-autobiographical, Gerwig said she didn't really "understand the character until (Ronan) started saying the lines... she is this flawed but amazing heroine." And for her part, Ronan said she cried when Gerwig was nominated for an Oscar. Incredibly it was only the fifth time that a woman had been nominated for best director. "She deserves it so much. It was a really momentous thing for the times we are in to have at least one woman nominated and completely deservedly. That means a lot to all of us," said Ronan. In terms of empowerment, "getting to play a confident teenage girl" also mattered hugely, she said. "It's so rare to see a teenage girl just own it in a film -- someone who just goes for it and isn't afraid to fall on their face. There is a strength and a bravery you can catch from that person." Ronan is acutely conscious that "Lady Bird" has already become a key cultural reference for many teenage girls. "She is quite outspoken which I am too. She is trying to find her people and her places. When I was around 18 I knew (like her that) I needed to get out and find who I was. "Like Greta and Lady Bird I wanted to go to New York. I was only there eight months but it was enough to say, 'I've found myself!'" she laughed. As for finally lifting an Oscar next month at the third attempt, Ronan insists that she "hasn't thought about winning. When you win you have to do all the press afterwards, and you don't get a chance to have a dance. So it is also quite nice losing because you can enjoy the night."